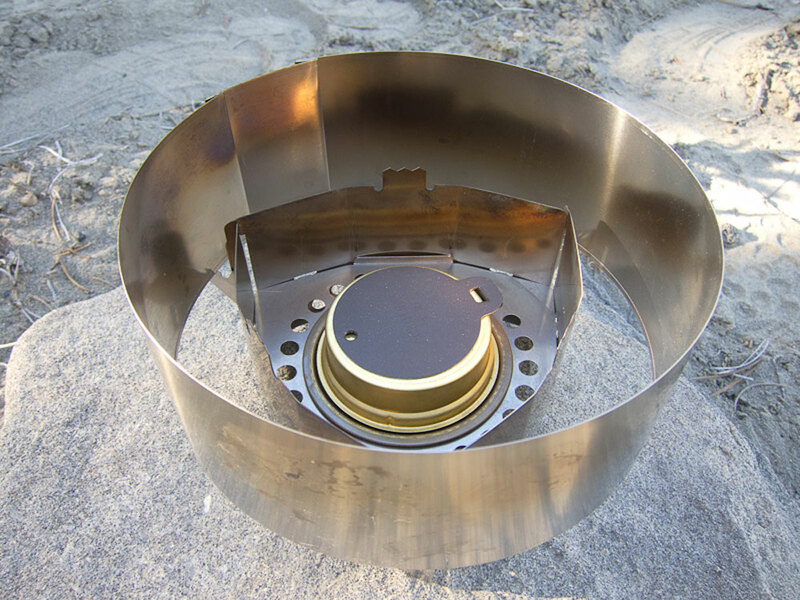 Alcohol stoves have long been a favorite of ultra-light backpackers, bicycle tourers, and adventure motorcycle riders. 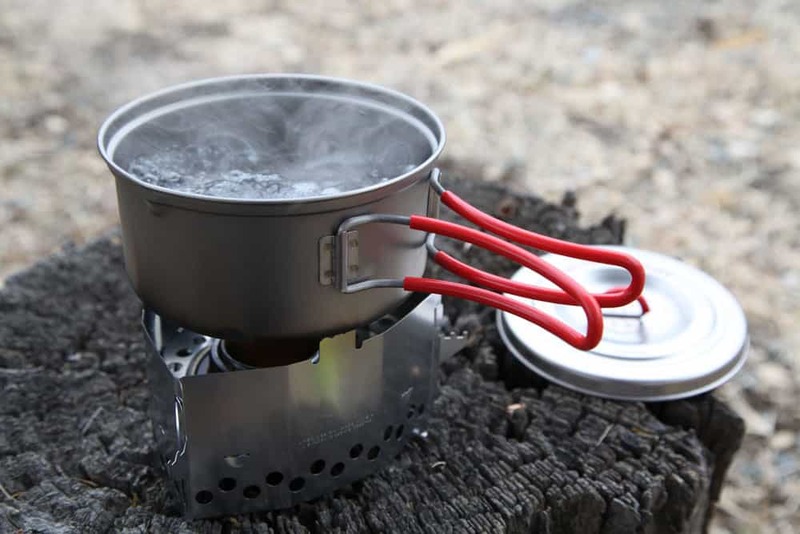 The low weight, simplicity, and compact size when paired to the low cost and easy availability of the fuel, make for a near perfect cooking solution. 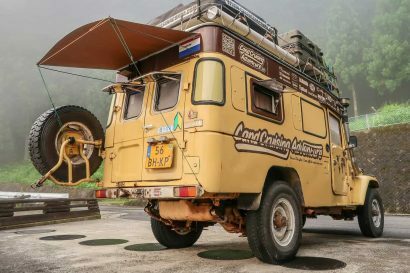 The burners themselves come in a number of formats ranging from homemade beer can stoves to the legendary Trangia burner many of us grew up using. What alcohol stoves frequently lack is a good pot support with optimal flame protection. Thanks to the Clikstand, the long-loved alcohol stove is now––perfected. The Clikstand is an ingenious device constructed of four precision cut panels of either high grade stainless steel or titanium. 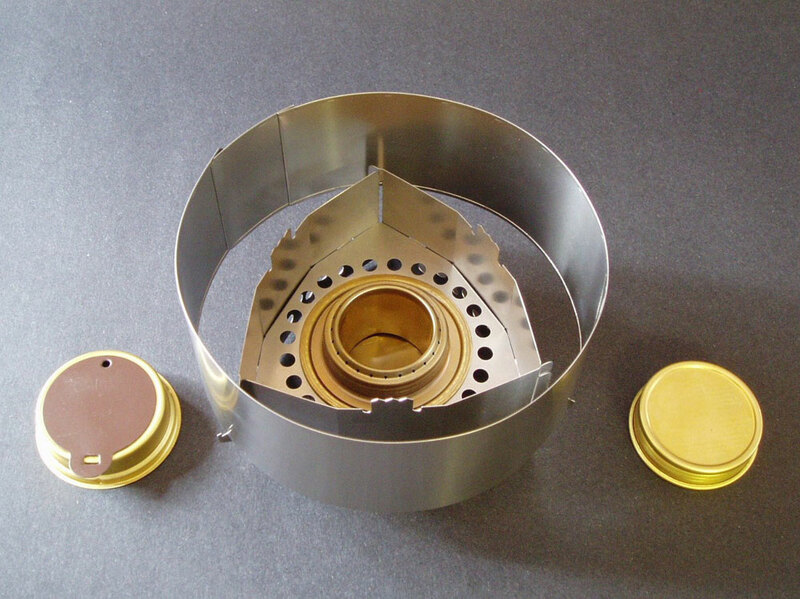 Once assembled, the four pieces enshroud the burner for optimal flame protection and create a stable support for cooking pots of varied sizes. For maximum flame protection, the addition of an optional windscreen decreases boil times, and increases fuel efficiency even more. The Clikstand snaps together in seconds, and folds flat for easy transport. The Sierra Combo with Trangia burner is impressively efficient. Boil times for half a liter at 5,000 feet with water at an ambient 50 degrees took but a few minutes. Clikstands come in a few different options including systems designed to use solid fuel cubes or conventional gas burners. The latest version of their titanium windscreen is now infinitely adjustable to fully maximize the protective wrap around the pot and stove. At only 3.3 ounces for the stainless Clikstand and a scant 2 ounces for the titanium version, these are ethereally light additions to your backcountry kit. The titanium Clikstand when paired to the Evernew titanium burner weighs just 3.2 ounces. 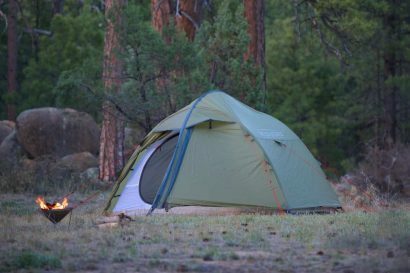 Speaking to affordability, the full Sierra Combo with Clikstand, Trangia burner, and windscreen is just $65. That’s less than half of what many popular stoves cost. We haven’t had the Clikstand for all that long, but we have been able to use it enough to know this is one of our favorite finds of the year. 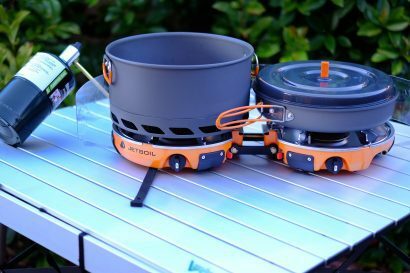 It’s compact, easy to assemble, requires no priming, burns cleanly, and brings water to a boil quickly enough to make more complicated stoves seem wholly unecessary. Many of our readers are continually clamoring for innovative products, made to the highest standards here in America, and available at affordable prices. Here you have it––Clikstand.